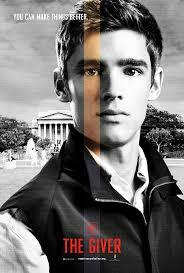 Lois Lowry’s award winning book turned feature film, The Giver, hit theaters this month in the Weinstein Company release. Memory plays a key role in how we see ourselves, our families, our culture, country, the world and faith. Memory helps us to discover our identity, purpose and meaning in life. The family is the primary place where memories get passed on, “Oh, when you were little…” “Hey, remember the time…” “I will never forget when…” The Giver is a dystopian fable of a society that has purposely cut off its people from their collective memory and sense of history. In The Giver, the families (which are not biologically connected: children come from a lab and are placed with parents who are not related to them) have no sense of shared memory and neither does the society at large. There is no opportunity for faith, as faith presupposes a cultural memory. 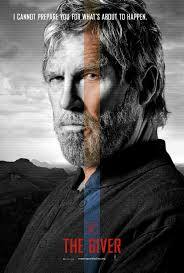 The fascinating thing about the role of the “Giver” is that he alone retains the culture’s memory. He literally hands over the memories from the past. The gestures used Bridge’s character imitates the same gestures of a priest or bishop in the sacraments of confirmation or ordination. He lays hands on Jonas and “hands over” the memory. Jonas can then see beyond. This gift of “sight” is connected to faith, as faith is a seeing beyond. “Faith is the realization of what is hoped for and evidence of things not seen” (Hebrews 11). Jonas embodies this sense of “sight”. The word “tradition” comes from the Latin word “trahere” meaning “to hand over.” In the collective Christian memory, the apostles hand over the stories, images, memories of Jesus to the disciples, who then hand over these to future generations. Just as families are primary place that memories are passed along, so too families are where the faith is passed on. The man who is the Giver is a symbol for those people in society and in our lives –most notably our families—who pass along our culture’s values, ideals and stories. Families will enjoy talking with their children after this movie especially about how movies, books, media all shape our collective memories and how the history of past cultures are relevant to our lives now. Learning that we are part of a greater story is an essential—and beautiful—part of being human. 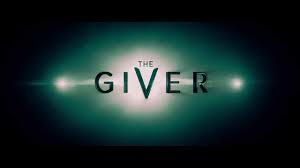 The Giver shares thematic elements with other recent dystopian novels-made-movie franchises such as the Hunger Games and Divergent...The main character(s) in each of these tries to sort out who they are and how they fit into their particular societies. They don’t fit in, are seen as different and unique and are considered “special” by authorities and peers – much to their own dismay. The society in The Giver has been intentionally created and is highly regulated in response to unnamed, but easy to imagine global tragedy. In the name of the common good, emotion and passion (including anger and envy but also the ability to notice and enjoy art and beauty) are numbed through daily injections. Uniformity and usefulness are prized to the extent that those who do not fit are “released” from the community. As he begins his training, Jonas discovers through his mentor, the world of color, love, family, music and emotions for the first time. One of the first memories that the Giver shows Jonas is a warm glowing sunset with vibrant reds, oranges and yellows. Jonas has never seen anything so beautiful. Overjoyed and inquisitive, he tries to reconcile why the elders would have constructed a society deprived of all of beauty, emotion and diversity. As the viewer, you find a new appreciation for all of these simple things that really do make life beautiful. Jonas’ recognizes that his society is lukewarm: ordered, clean, tidy, dutiful and well-mannered, but empty. They are all “yes-men” who don’t know how to think for themselves or sacrifice for another. Everything has a utilitarian overtone—nothing is beautiful or is delighted in for its own sake: from clothes to people to nature. His awakening sparks a rebellion which neither he nor the authorities are prepared to handle. The film will lead to family discussions with older teens of perennial questions about the meaning of human life, the role of memory, free will, identity and our role in the greater human experience. spectrum of color in his world.